Tracking how you got from one website to another. Have you ever asked the question, "How did I get here?" It's common place to use the computer to work on a homework assignment and then end up watching a video on how JFK's brain went mysteriously missing after his assassination. As I said, "How did I get there?" The web browser stores your history. But, it doesn't determine how one website leads you to another. 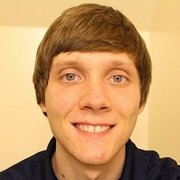 HistoryTree takes your history and puts it together like a puzzle so that you can determine how you got from one place to another. 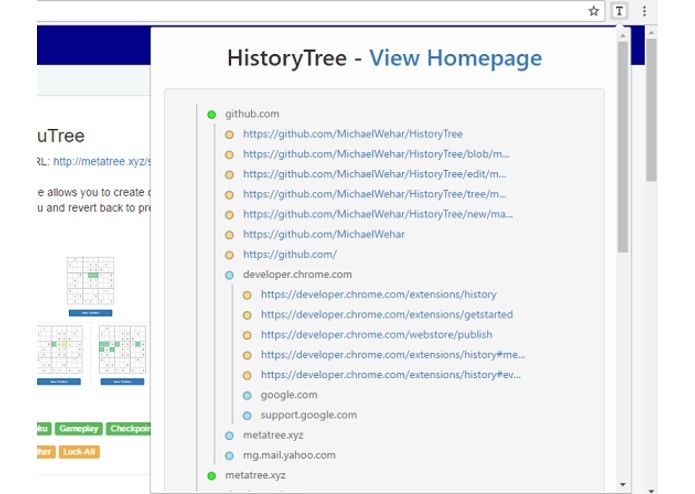 HistoryTree was built as an extension for the Google Chrome web browser. For development, I used: Chrome API, HTML, JS, JQuery, and CSS. Chrome extensions allow you to programmatically access data that you wouldn't normally be able to access with a web app. For example, you can access the browser history and all of the url's that the user has recently visited. However, chrome no longer allows developers to easily cross-reference referringVisitId's with visitId's for website visits. For security reasons, they wanted to make it difficult for an extension to track a user's online behavior. However, I believe that helping the end-user determine how they got from one place to another is a worthy cause so I applied a "secret" technique involving joining data to put together an estimate on which website led to another. I am proud that I could piece together one's search history to help answer the question, "How did I get from one website to another?" I learned so many things: (1) How to make a chrome extension, (2) browser security policies, and (3) most importantly how to piece together once's browser history to answer a practical question. Release it for beta testing, get feedback and make revisions to improve user experience. Then, release on the Chrome Store.